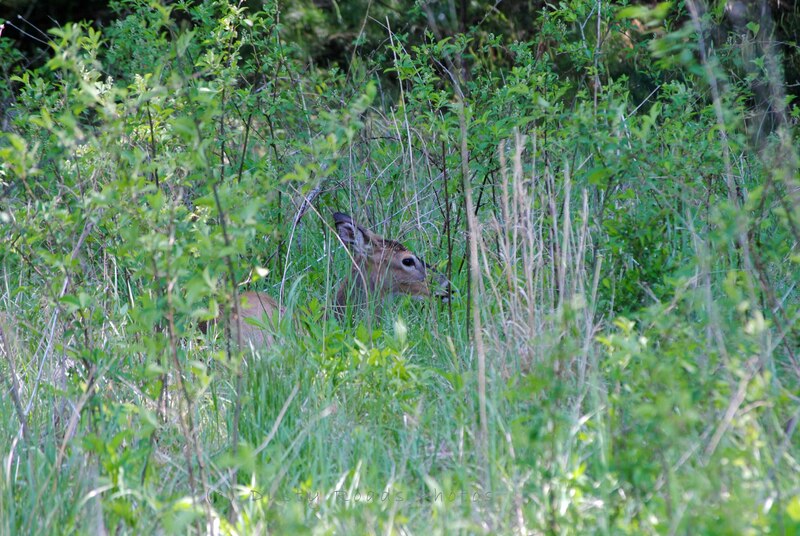 Deer like to hunker down and hide. Driving through Cades cove I startled 2 deer browsing by the road. I pulled off and tried to slip out of the car with the camera but at first I thought they had run. I didn’t see them anywhere. I walked from the car back along the side of the road and suddenly a movement caught my eye. It was just a flick. Maybe the deer flicked it’s ear? I’m not sure but it was enough. There it was and nearby the 2nd deer was also lying down .